We kick off our look-back at Assistant Editors' Month with a Double-Shot of mutants...and Eliot R. Brown! 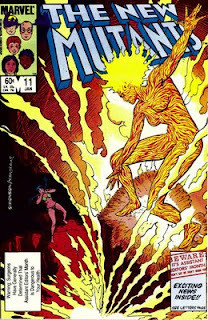 As impossible as it seems today, in 1983 there were only two monthly titles dedicated to Marvel's mutants. Heck, a year earlier there was only 'Uncanny X-men'. 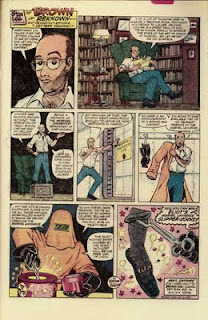 Assistant Editor Eliot R. Brown was "filling in" for regular Editor Louise Jones (later known as Louise Simonson) on 'Uncanny X-men' and 'The New Mutants' during AEM. 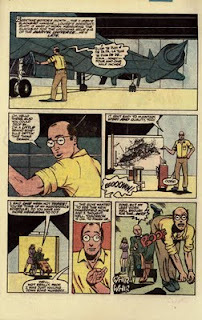 A little background about Brown:In addition to being an Assistant Editor, he also contributed many sketches of Marvel vehicles, weapons and technology to 'The Official Handbook Of The Marvel Universe' and other Marvel "manuals". You can find examples of Brown's technical sketches at his official site. 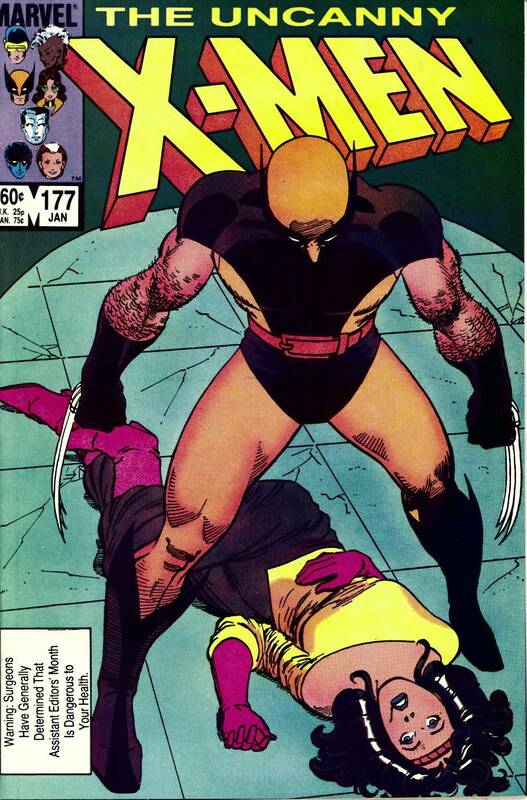 We begin with a look at 'Uncanny X-men' #177. The cover is normal, with the exception of the Assistant Editors "warning" on the bottom left. 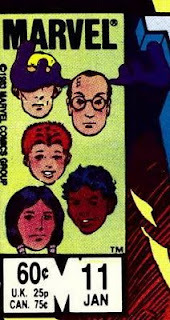 In 'New Mutants' #11, Brown shows up in the corner box, with antlers drawn on his head! I wonder if anyone entered that contest? FYI:In addition to starring in both these back-up features, Brown also wrote and drew them. I love those moose horns! Just found your site, great stuff! I was a kid when AEM first ran, and I remember a lot of these comics. My question concerns the X-Men issues above, I always thought that their part of AEM was Uncanny X-Men Annual # 7, where the X-Men had to go on a scavenger hunt with the Impossible Man. It came out the same month as the rest of the AEM issues, any thoughts?